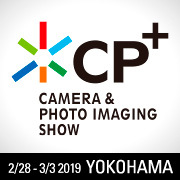 SLIK Corp. will perticipate Camera & Photo Imaging Show; CP+ 2019 start from Feburuary 28 to March 1, 2019 at Pacifico Yokohama, Japan. We are going to introduce some exiting new products at CP+. Please come and find latest products from SLIK at Kenko/Tokina/SLIK booth at G-58.